Note for instance the cut to the archival footage of the synchronized movement of the crowd underneath the tent made to directly coincide with the lifting of the patient onto the healing platform, as if the expectant crowd were following the movement of the sick child into intimate proximity to the healer. Through the zooming capacities of the camera and the editing process, the film attempts to collapse the distance between the simultaneous movements of the crowd and the ritual positioning between the patient and the healer. With these cinematic techniques, the audience members viewing the film are themselves solicited to participate in this spectacle of prayer. In addition to this effervescent sympathy with the movements of the crowd, the cinematic audience is also called into a mimetic participation with the bodily contact during the performance of prayer. While Roberts commands the “foul tuberculosis” to “come out” in an importunate tone of voice, his right “hand of discernment” presses aggressively against the chest of the patient. 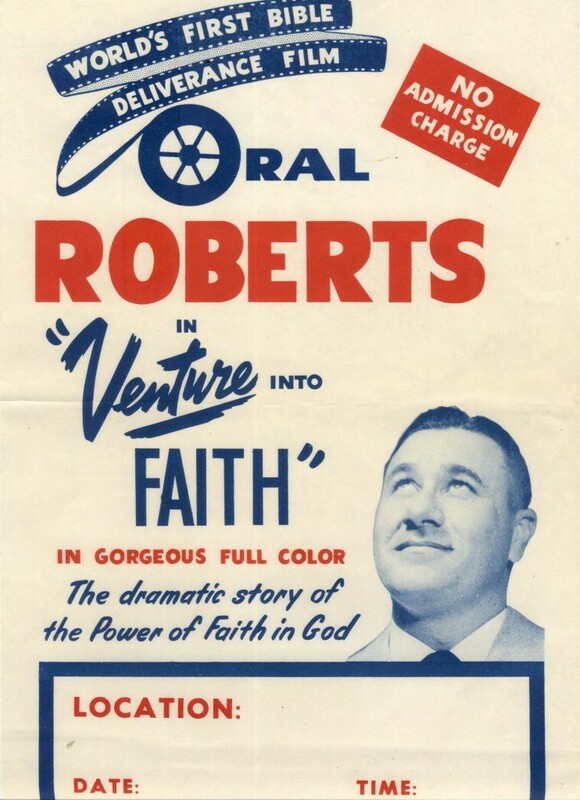 As the quickened hand of the healer extirpates the illness from the chest cavity (it is important to keep in mind that the etiology of illness in these days of the charismatic revival was explicitly associated with the presence of demons) the sensitive capacities of the microphone amplifies the visceral thumping sounds of Roberts hand so that it resounds within the chests of the cinematic viewers as well. Through the prosthetic organs of the cinema environment, the audience is able to enter into a tactile participation with the performance of prayer.